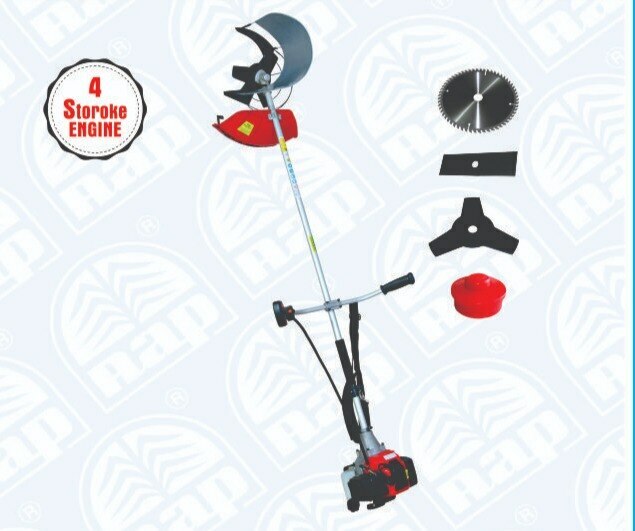 • Ideal for cutting paddy, Wheat, sugarcane, sunflower, grass etc. • Single Cylinder, 4-Stroke, air cooled powerful, fuel efficient engine. • Less Labour, Less Time, maximum Savings. • Accessories -Safety guard, Tool kit, 2 Teeth. 3 Teeth and 60 Teeth Blades. • Fuel Consumption is 0.900 Ltr/hr.